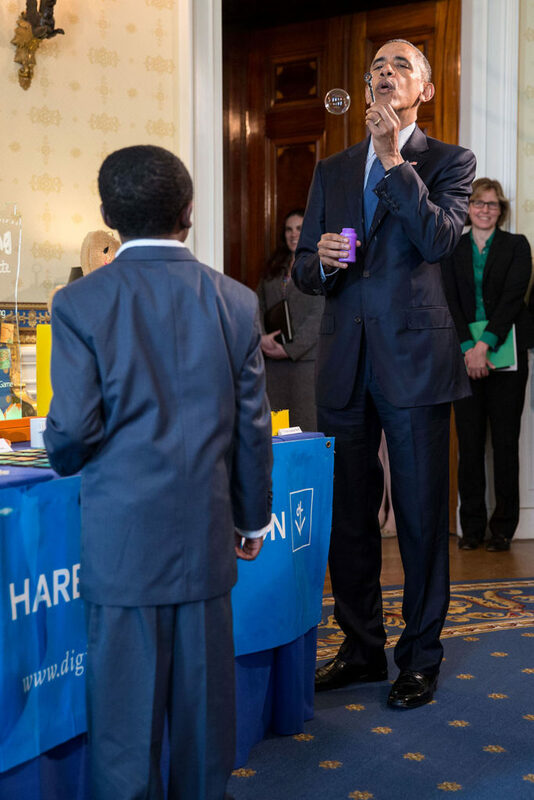 May 23, 2016 – At the 6th White House Science Fair in April, President Obama met nine-year-old inventor Jacob Leggette, who, with the help of a 3D printer, has created everything from a bubble-blowing wand to a mini model of the White House. When he was talking to President Obama, Jacob also made a recommendation: that the President should have a kid science advisor. The President loved the idea, and suggested that a group of kids share their thoughts on what they think is important in science, technology, and innovation. Kids know first-hand what’s working inside and outside of their classrooms and how to better engage students in Science, Technology, Engineering, and Math (STEM) fields. So now President Obama wants to hear from YOU – kid scientists and innovators across the country – about what we can do to help shape the future of science, discovery, and exploration. Whether you care about tackling climate change, finding a cure to cancer, using technology to help make people’s lives better, or getting a human to Mars, we can’t wait to get your input! So let the President know your ideas: what you’ve tried, what’s worked and tough questions you’ve asked! And stay tuned for more ways to share your input with the White House! Please submit form by Friday, June 17, 2016 at 9:59 pm MT.